For effective way of communication with customers Acquire provides Integration with Shopify. 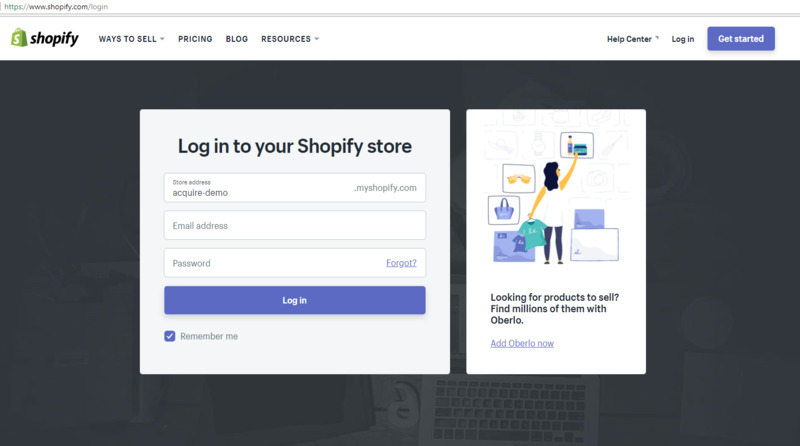 Just follow few steps and your Shopify account will be integrated with Acquire. 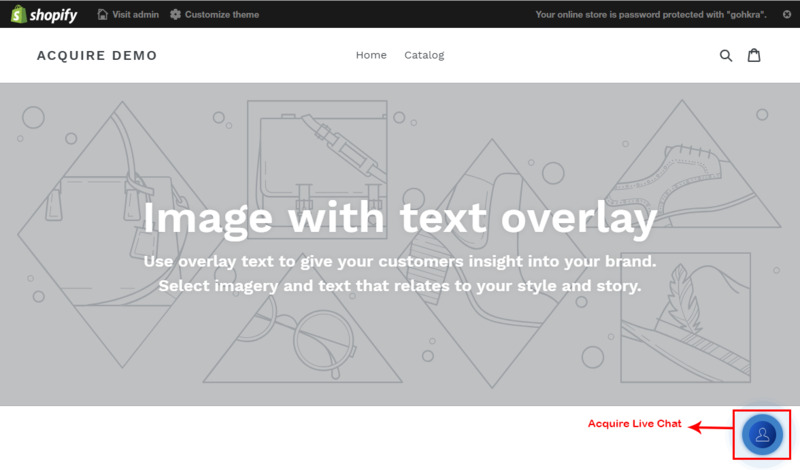 After getting logged in, Navigate to “Online Store” > “Themes” on the left panel of the page. Then after, On the top-right corner, next to your current theme, click on “Actions” button and then on “Edit Code”. 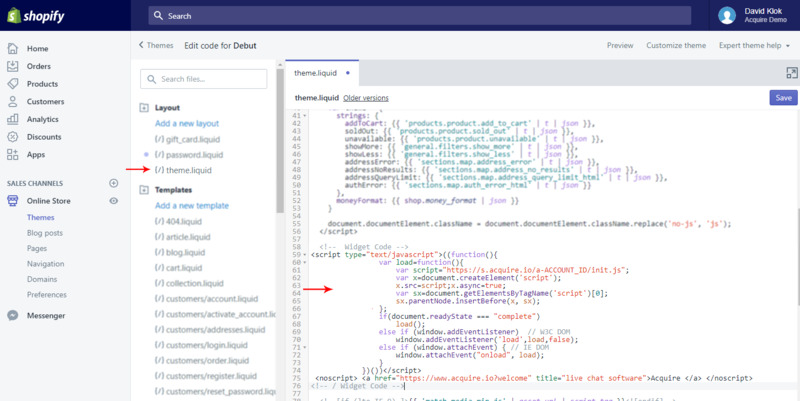 Once redirected on “Edit code”, click on ‘theme.liquid’ Under ‘Layout’ to open your head file. This is where you’ll paste the Acquire Live chat integration code in the next step. Note: You can find your tracking code by picking the website https.app.acquire.io. Goto https://app.acquire.io and log in from there. visit sidebar menu and navigate to Settings > Installation > Web. Here you will find chat widget code, copy this code and paste it to on your website in Header section and ‘Save’ it. 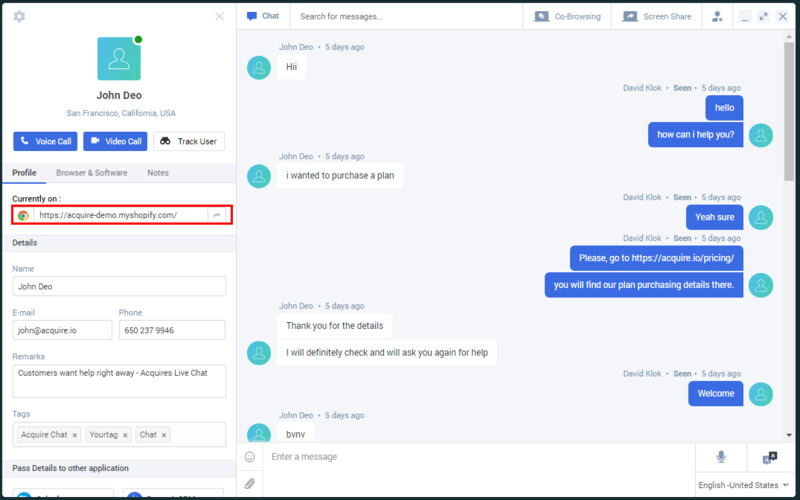 After saving your code, Once you will visit your website you will see a chat icon displayed on right corner below, from where you can start a live chat with the Agent. Once you will initiate a chat with Agent, you will see below section from the Agent screen. That’s it! 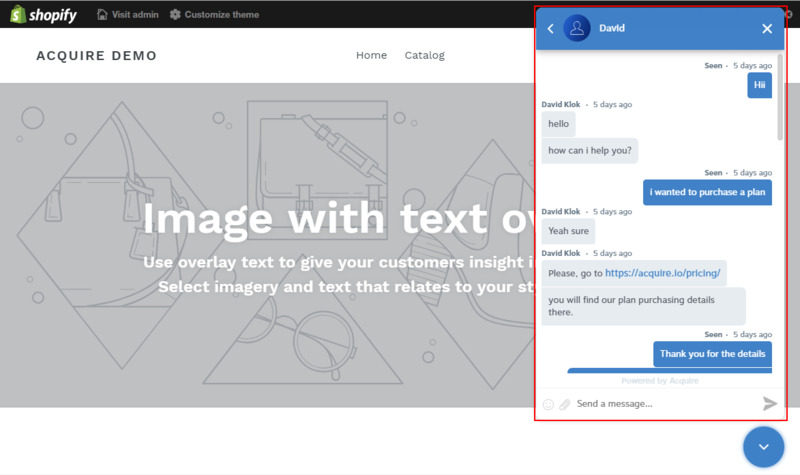 Your chat is now fully integrated with Shopify!